The emerging details of President Trump’s and Jared Kushner’s ‘deal of the century’ suggest Palestinians will be asked to trade their national aspirations for billions of dollars of Gulf Arab investment. President Donald Trump’s son-in-law and senior adviser Jared Kushner has refrained from releasing his peace plan in full until after the Israeli elections, a strategic move to limit public controversy. But from the details that have become public, it looks to be highly favourable from an Israeli perspective and a radical departure from the traditional two-state paradigm. During Kushner’s February tour to the region, which aimed to garner support for his plan amongst key Arab allies, several notable details emerged. 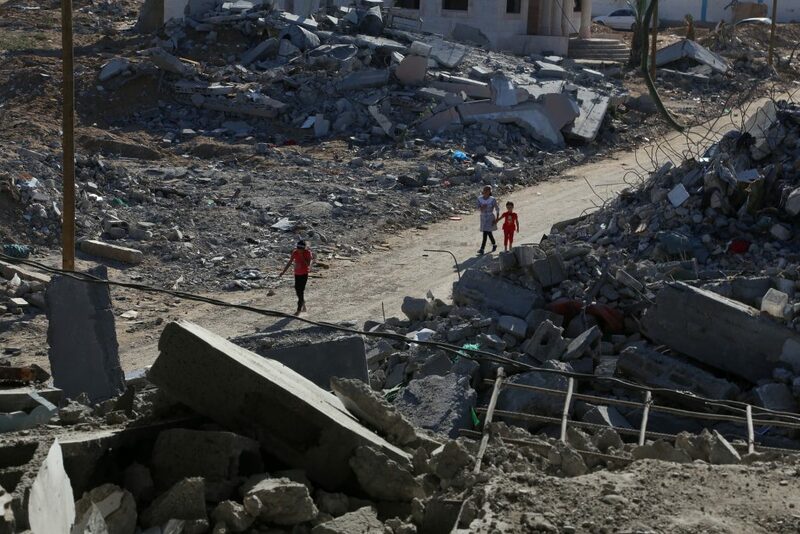 is the plan envisages $25 billion will be invested in Gaza and the West Bank over the next decade, while $45 billion will be put into projects in Egypt, Jordan and Lebanon — the latter two are home to considerable Palestinian diasporas and refugee population. Egypt’s inclusion is likely linked to rumoured plans to alleviate Gaza’s suffering — and improve Israeli security in the process — through the creation of massive industrial zones in the neighbouring Sinai Peninsula. In keeping with Trump’s ‘America First’ ethos, the majority of the funding for these investments will be sourced from wealthy Gulf Arab state. What this means is unclear but it seems to preclude the establishment of a Palestinian state. Previous leaks and rumours have suggested that Kushner and his team have offered the Palestinians a limited, non-contiguous state punctuated by Israeli settlements with the Jerusalem neighbourhood of Abu Dis — separated from the city proper by the Israeli separation barrier — serving as the fledgling state’s capital. Also reportedly under consideration is a Palestinian state encompassing Gaza and the northern Sinai. Whatever the exact parameters of Kushner’s deal are it is clear that the Palestinian people will essentially be asked to sacrifice what remains of their national aspirations for economic opportunities. Despite almost two years of preparation, Kushner’s plan is highly unlikely to succeed. The supposed ‘deal of the century’ is unpalatable to every major stakeholder in the Arab–Israeli conflict, including the Israelis. Although the Palestinians are politically divided between Hamas, Fatah and protest movements which reject both major factions, unity exists in opposition to Kushner’s deal. Fatah and Palestinian Authority chief Mahmoud Abbas have actively refused to negotiate with the US since they recognised Jerusalem as Israel’s capital in late 2017. Hamas bases its political credibility on resisting what it sees as the Israeli occupation and is highly unlikely to cooperate with any economic ventures which have Palestinian statehood as their price. Trump’s Arab allies — who could theoretically pressure the Palestinians into engaging with Kushner’s plan — find themselves in a more complex situation, but are still likely to oppose the deal. On the one hand, states like the UAE, Saudi Arabia, Egypt and Oman have been deepening their ties with Israel to both curry favour with the Trump administration and to form a joint anti-Iran front with Tel Aviv. Their dilemma is that before cooperation with Israel can become more extensive and official, the Palestinian issue must be resolved, lest these states be seen to be betraying what has long been one of the Arab world’s central causes. There are clear limits on what a palatable ‘resolution’ looks like. Kushner’s plan is not one of them, as it violates Palestinian and Arab red lines around Palestinian statehood, the status of Jerusalem and the right to return. Arab states who openly supported such a plan could face severe domestic backlash and would provide Turkey and Iran — who have bucked the trend in publicly condemning Israel and championing the Palestinian cause — with a rallying cry to the Arab and Muslim world. Moreover, Arab states would be unlikely to provide such vast amounts of money to an unpopular and potentially risky venture, especially if Washington fails to contribute a significant amount. Unsurprisingly, Arab leaders have been especially vocal as of late regarding their support of the Palestinian people. The late March and early April meeting of the Arab League reaffirmed the Arab world’s commitment to the Arab Peace Initiative of 2002, which offered Israel full diplomatic recognition in exchange for Tel Aviv’s withdrawal from all land occupied during the 1967 war. While the statements of the Arab League are far from sacrosanct — days later Oman’s foreign minister called on the Middle East to ease Israel’s ‘fears for its future’ — the strong language on the Palestinian issue provides leaders with limited room for manoeuvre. Speaking at the summit, Saudi Arabia’s King Salman also reaffirmed his kingdom’s support for a Palestinian state with East Jerusalem as its capital. This statement was particularly significant in that Saudi Arabia’s Crown Prince Mohammed Bin Salman (MBS) — who was recently relieved of the kingdom’s Palestinian portfolio by his father — reportedly previously attempted to coerce Abbas into accepting Kushner’s plan. 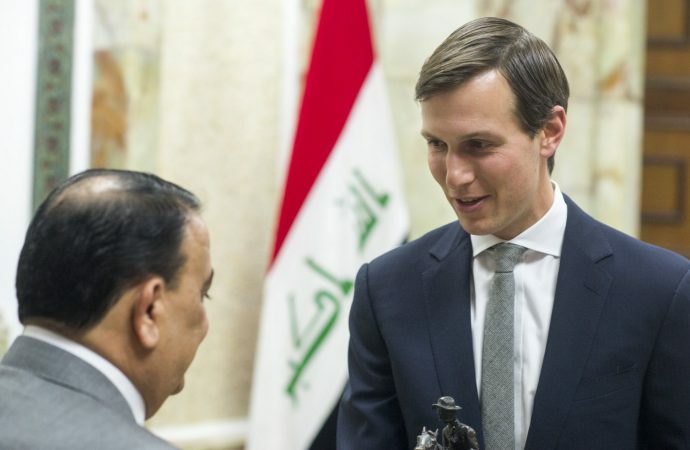 With Riyadh in damage control after the fallout from the murder of Saudi journalist Jamal Khashoggi, it appears unlikely that Kushner will be able to count on the Saudi’s to strongarm Ramallah. 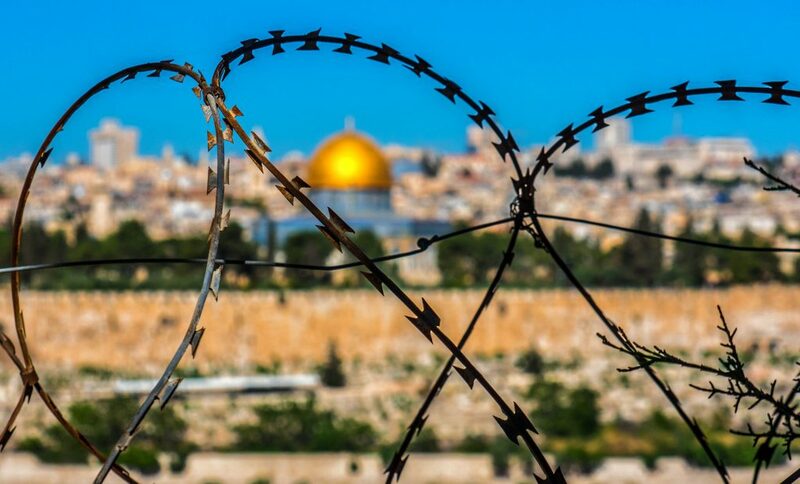 Even in Israel, which would stand to benefit from the plan’s implementation, there is limited appetite for making concessions towards anything even approximating Palestinian statehood. It is also unclear whether the security-conscious Israeli public would be comfortable with Kushner’s ‘open borders’ idea. During the campaign trail preceding the April 9 Israeli elections, Naftali Bennet — the leader of the far-right Jewish home partner and former member of Prime Minister Netanyahu’s cabinet — sought to use the deal as a political football, accusing Netanyahu of colluding with the US to create a Palestinian state. If Kushner does go ahead with his pledge to unveil his plan, expect it to be a propaganda boon for Iran and Turkey, while placing Washington Arab allies and to a lesser extent Israel in very awkward positions. Of course, with US presidential elections due in 2020, it is still possible that this plan will never meaningfully see the light of day. Ultimately, it will be left to the next Democratic-led administration to try and pick up the pieces and revitalise a peace process that many fear is already dead. With Democratic frontrunners Bernie Sanders and Beto O’Rourke making highly critical statements about Netanyahu and his approach to peace in the lead-up to the Israeli polls, it is possible that the Democrats will take a far harder line on Israel. The question then will be if it is simply too late to undo the results of years of settlement expansion and failed peace talks.